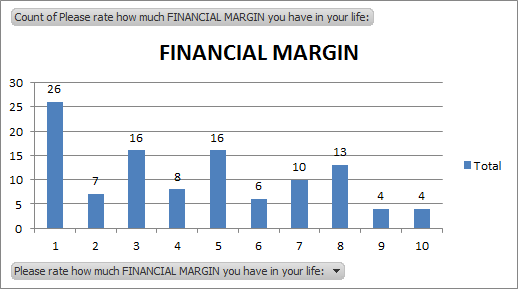 The margin survey response was incredible, and the most compelling part for me was the personal responses that so many of you shared in the “Share your thoughts on what you can do to add more margin to your life” section. Over the next couple of days, I wanted to share some of the feedback. Would love to hear YOUR thoughts on these comments! It has really been quite overwhelming to me to read all of these responses. It has affirmed why I do what I do. In general, people seem to be feeling better about their relational margins than their time and financial margins. TIME MARGIN had a direct correlation to RELATIONAL MARGIN. 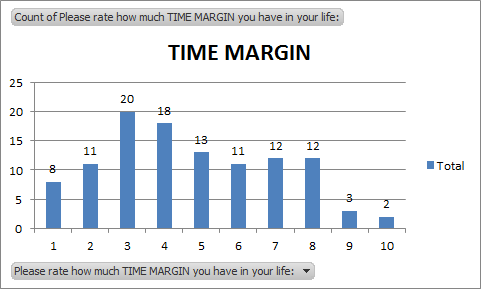 As people felt better about their time margin, they felt that they had better relational margin. 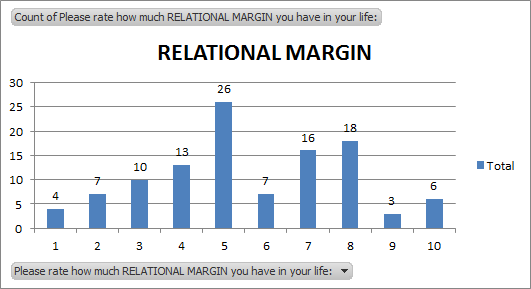 FINANCIAL MARGIN appears to have a direct correlation with RELATIONAL MARGIN. The better the financial situation, the better the relational margin. MORE THAN ANYTHING – it was YOUR COMMENTS that you shared that caught me off-guard. Your transparency was amazing, and I am going to be sharing some of these anonymous comments over the next few days. Part 4 – Fill up the tank. When there is no financial margin, it may not be possible to drive to the gas pump and fill up the gas tank. Lack of margin means that one has to put $20 in one time and $37 the next. Whatever money is available goes into the gas tank. This can be very costly – especially in time costs! For many people, it also costs more money because more visits to the gas station means more trips into the convenience store to buy super-overpriced soda and snacks!